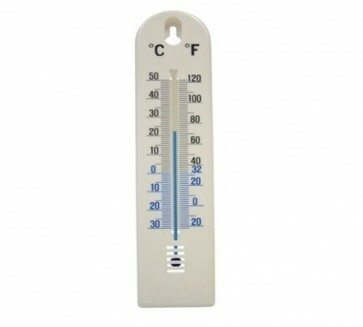 This Faithfull Wall Thermometer is mercury free. 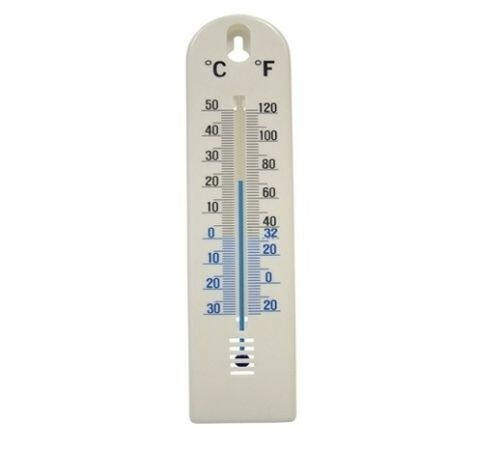 A simple white plastic wall thermometer for everyday use in and around the home and garden. It measures temperature in both Celsius and Fahrenheit and is suitable for indoor or outdoor use. It is also ideal also for checking the temperature of fridges. Range: -30° C to +50° C / -20° F to +120° F.